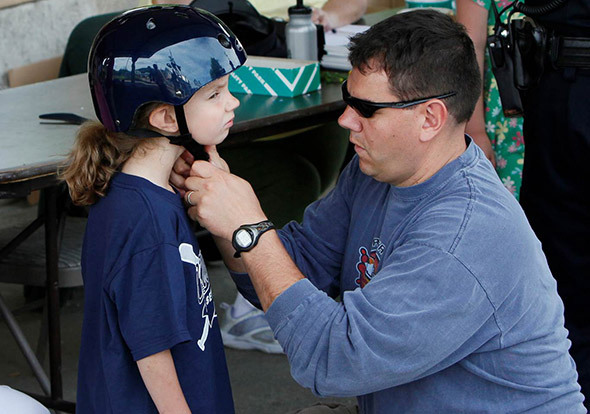 The Waterbury Police Department sponsors an annual bike safety awareness clinic for the children in the community, held at the Historic Train Station. 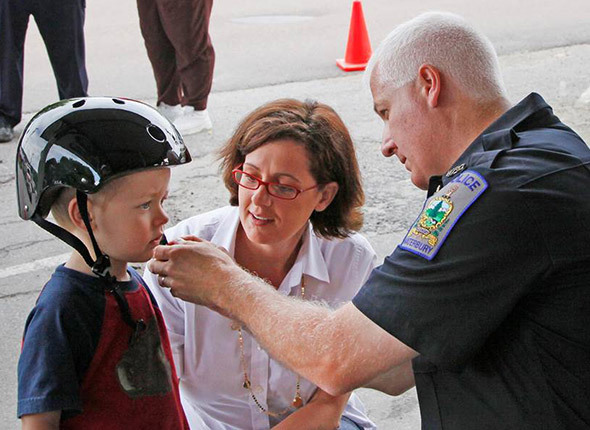 The donation that Industrial Four made to the Police Department (2014) made it possible for every child to get a new bicycle helmet at the event – which included learning proper road safety as well. The “CHaD Hero” is a fundraising event for the Children’s Hospital at Dartmouth. 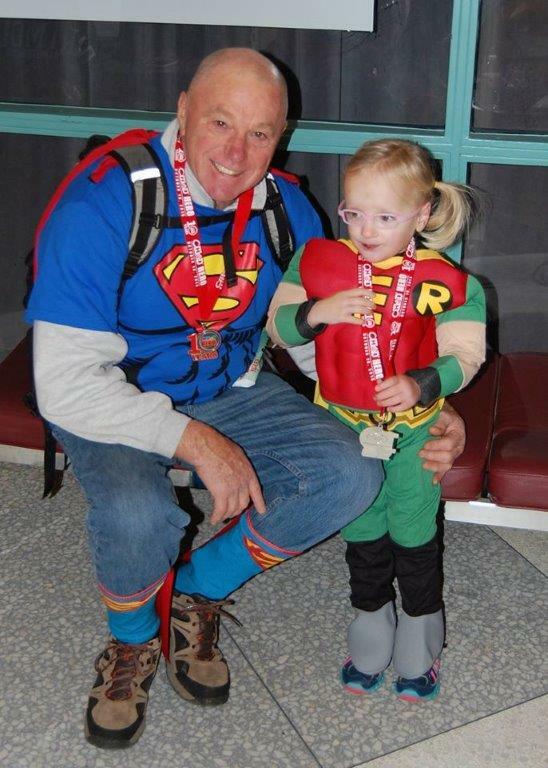 Industrial Four has been part of the Neonatal ICU fundraising team in honor of our special “Super Hero”. For more info on the event visit www.chadkids.org. 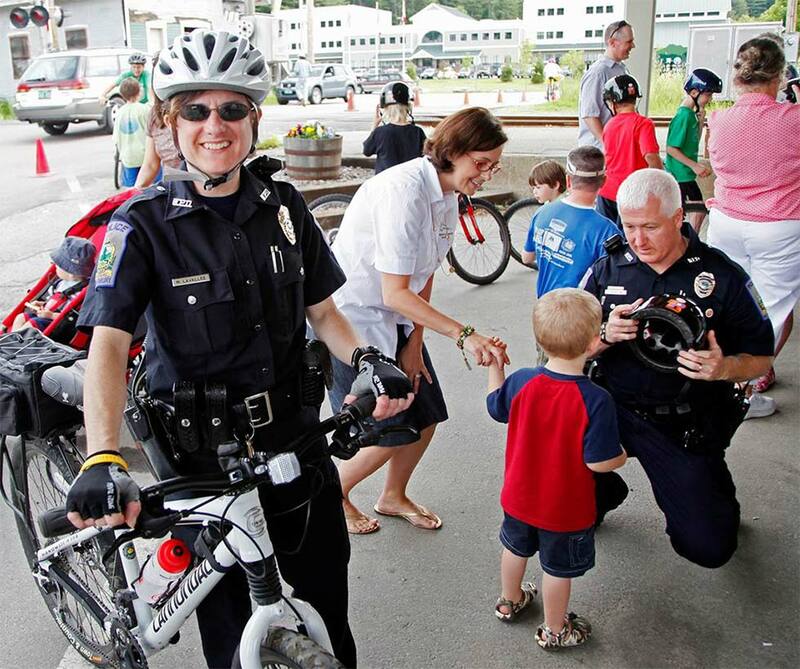 Susan has served as a volunteer on the “Run Vermont” race committee for many years, with direct responsibility for the youth events that occur each Memorial Day weekend, and that coincide with the “Vermont City Marathon”, Vermont’s largest running event. “Run Vermont”, a non-profit organization has developed “Youth Awareness Month” or “YAM” which culminates in the annual “YAM Scram” running event the day before the marathon. 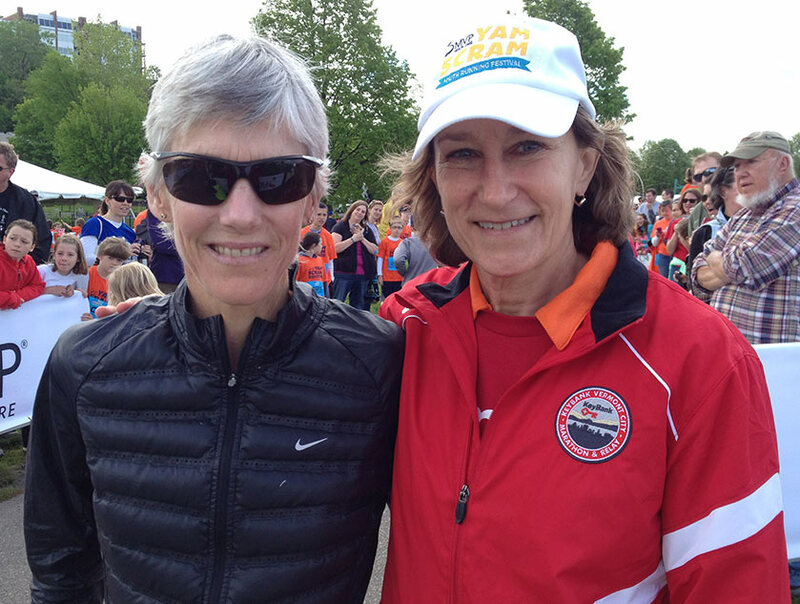 Susan, a longtime runner herself, is seen here with 1984 Olympic Gold Marathon winner Joan Benoit-Samuelson, the guest motivational speaker at the YAM Scram and marathon event in 2014. "Thank you for thinking of your community. Your donation made a big difference in the lives of more than 80 families". "We so appreciate the support from companies such as yours to make sure many of our area families were able to enjoy full Thanksgiving dinners".